What happened to deaf people during the Holocaust? 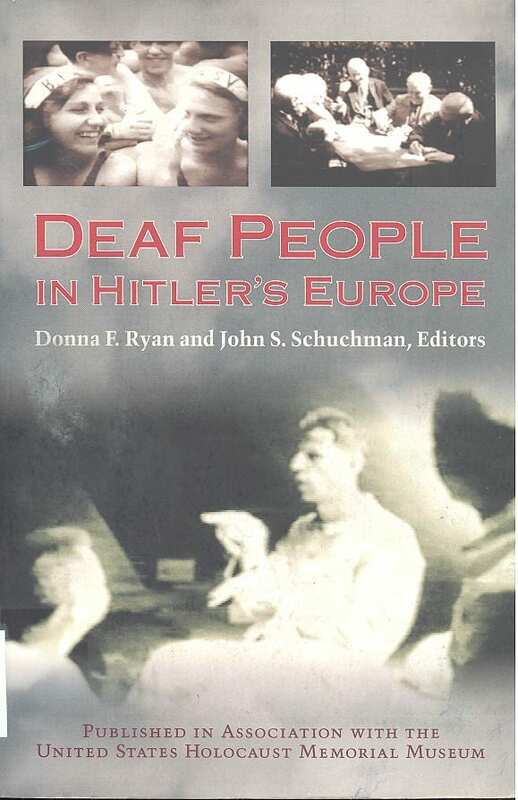 Unsurprisingly, during the Nazi regime, thousands of deaf people were subjected to forced sterilisation in the expectation that disability could be eliminated in future Aryan generations, imprisoned in concentration camps and/or killed. Some Nazi educationalists drew the rights of deaf children to an education into doubt, considering it wasteful to educate those they considered ‘inferior’. Different figures are given by different sources, but it seems around 17,000 deaf Germans were sterilised between 1933 and 1945 and it is estimated that , in an effort to rid Germany of ‘useless eaters’ nearly 2,000 deaf children were killed by lethal injection or starvation in what were deemed to be ‘mercy killings’. Newborns with physical defects, or who were believed to be physically or mentally disabled, were removed from their parents and taken to special children’s wards for this purpose. Their parents were then told they had died of natural causes. Forced abortions were also done on women suspected to be carrying a deaf or otherwise disabled foetus as late as six months into a pregnancy – this became legal there in 1935. Morris Field, who managed to conceal his deafness and thereby survive the war despite going through five concentration camps. Otto Weidt, who was not deaf himself but who went to substantial efforts to save the lives of 165 deaf and blind Jewish workers during this time and who was arrested many times by the Gestapo as a result. There is a small museum in Berlin dedicated to him. Dr. Karl Brandt, Viktor Brack and Philipp Bouhler, who were the organisers and the head of Hitler’s T4 (‘euthanasia’ or eugenics) programme. …and the collaboration with and support for the Nazi drive for eugenics and ‘cleansing’ by teachers of the deaf, who turned their pupils over to the authorities, such as Herbert Weinert, as well as Dr. Otto Schmäl and Hans Hild who, though initially opposed to such measures, later publicly changed their opinions in favour of ‘racial hygiene’ (see H. Biesold, Crying Hands, available in the RNID library). As the BBC’s ‘Ouch!’ blog states, it’s worth noting that ‘Nazi Germany wasn’t the only regime to practise the forced sterilisation of disabled people, and it wasn’t even the first’. In her book Pride Against Prejudice, Jenny Morris explains that, from 1907, many U.S. states ‘passed compulsory sterilisation laws covering people thought to have genetic illnesses or conditions’ and furthermore, before we get smugly self-righteous on this side of the pond, ‘European states that followed suit in the 1920s and 1930s included Denmark, Norway, Sweden, Finland, Estonia, Czechoslovakia, Yugoslavia, Lithuania, Latvia, Hungary and Turkey’.